Russell Wilson has proudly supported his wife Ciara in all of her endeavors, and often takes to Instagram to gush about the songstress and their young family. But on Monday the football player took things to the next level - by dutifully carrying her fancy Chanel purse for her. 'When your man holding your purse for you, you know it's real!' 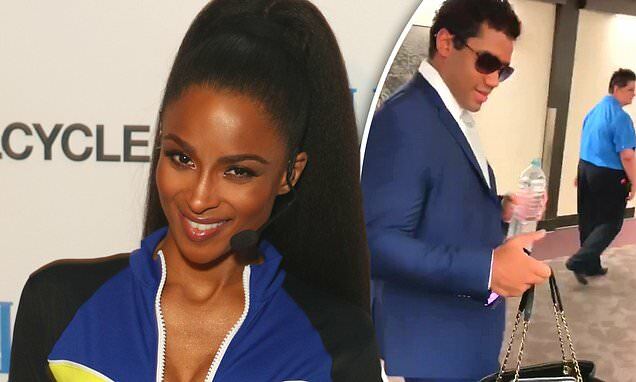 Ciara, 33, said in amazement as she recorded her suited up husband, 30, carrying her packed Chanel purse down a hallway. The Seattle Seahawks football player was surprised to see just how heavy Ciara's purse was, joking he was using all of his might to carry the bag. 'I got to use all my muscles to carry this thing, how much stuff you got in here?' Russell asked, astonished to learn first-hand just how heavy the purse was.